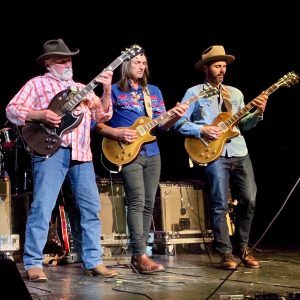 The Allman Brothers Band guitarist Dickey Betts ended a roller coaster 2018 on a high note. Betts who suffered a mild stroke and months later underwent successful brain surgery after an accidental fall returned to the stage on New Year’s Eve at the Grand Opera House in Macon, Georgia. Dickey’s surprise appearance came as part of The Devon Allman Project’s New Year’s Eve concert featuring special guest Duane Betts. The 75-year-old guitarist, who ended a lengthy retirement in the same city earlier this year, emerged for the countdown into 2019 as well as the “In Memory Of Elizabeth Reed” that followed as per Jambands.com. The Devon Allman Project featuring Duane Betts are finishing a run of shows before the launch of The Allman Betts Band.